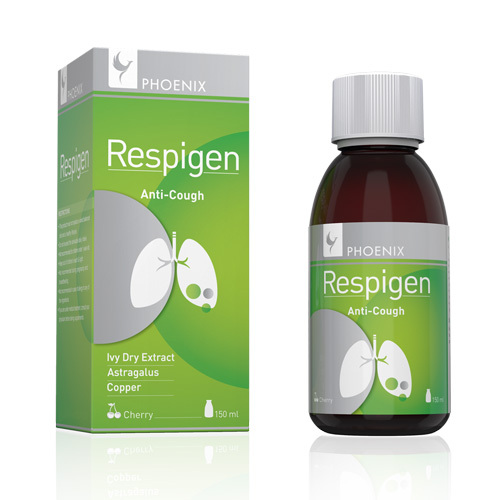 This product’s special formula leads to effectively treat complex cough-related processes as well as decrease the allergic response of the individual, soothing the pharynx, relieving the urge to cough, and modulating locally the immune system’s response. This supplement is effective and very well tolerated, being suitable for the whole family, children and adults alike. It contains mainly Ivy, Thyme, and Astragalus. 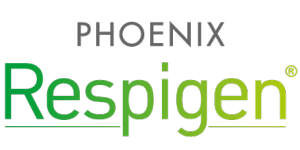 Phoenix Respigen® liquefies the sticky mucus trapped in the bronchi, allowing it to be coughed up more easily without exacerbating the cough. Due to its relaxant effect on the bronchi, constricted airways are widened, enabling to breathe more freely again. It can be used not only for acute forms of cough, but also to accompany therapy for chronic, inflammatory bronchial conditions with coughing as a symptom. Astragalus root, which is considered an effective treatment for acute and chronic bronchitis by strengthening weakened lungs and preventing upper respiratory infections that trigger asthma. The astragaloside, saponins, and flavonoids found in astragalus are supposed to be involved in the treatment and prevention of upper respiratory infections such as asthma, bronchitis, laryngitis, sore throats, and the common cold. Ivy leaf extract, which its saponins are supposed to reduce swelling of the airways, break down chest congestion, and relieve muscle spasm. Thyme leaf extract that in combination with various other herbs, such as the ones included in this supplement, improves symptoms of bronchitis such as coughing and fever, and reduces coughing in people with upper respiratory tract infections and common colds. 1 to 3 years: 2.5 ml, twice daily. 3 to 12 years: 5 ml, twice daily. Adults: 5 ml, three times daily. Once opened keep it in the fridge and consume within 30 days. Not recommended for children under 1-year-old.